When this card is Normal or Special Summoned: You can activate 1 of these effects. 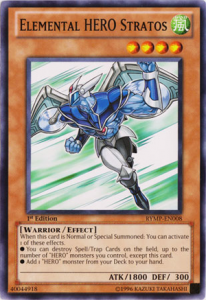 &#9679; You can destroy Spell/Trap Cards on the field, up to the number of "HERO" monsters you control, except this card. &#9679; Add 1 "HERO" monster from your Deck to your hand.